Hope you guys had a great week!! We get to see al and linds together this weekend and we could not be more excited. This living close to people is just so great. And we are taking full advantage of it. Everything else is going to be pretty low key. 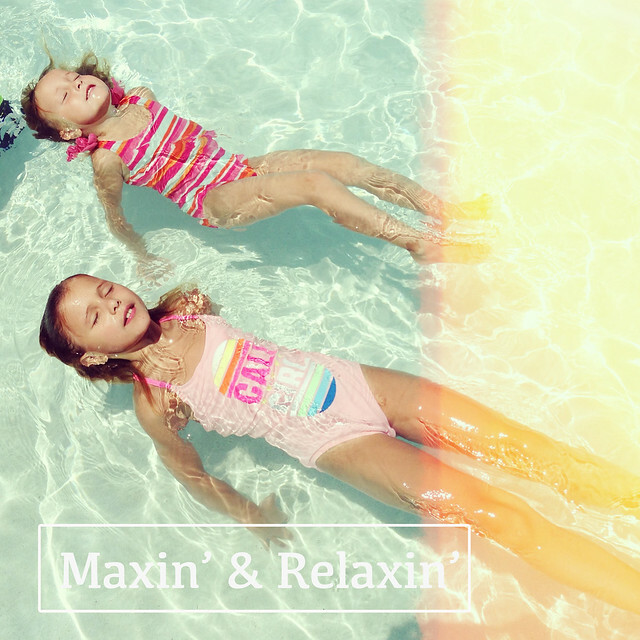 Hope your weekend is full of relaxing and maybe you can squeeze in some last minute pool seshes before school starts. I thought this post was just so inspiring. I just love the idea of growing past the idea of how we have to grow and buy and change with the design trends. The woman who wrote the book that the party is about sounds so courages and innovative. I just loved it. I have been loving Cup of Jo's motherhood around the world posts. It is so interesting to see how other mothers parent, live and interact with others in other countries (compared to the US). And The Office auditions are pretty great, too. This pinata lamp is awesome. and I love the tissue paper flower garden. Straws as cake toppers. genius. These summer icons are sweet. I think this is more a need than a want. This is a pretty DIY. It is not even in the 90's outside and I cant stop pinning things to knit. Something is clearly off in my head.